Reinventing the flower industry from the topsoil up. 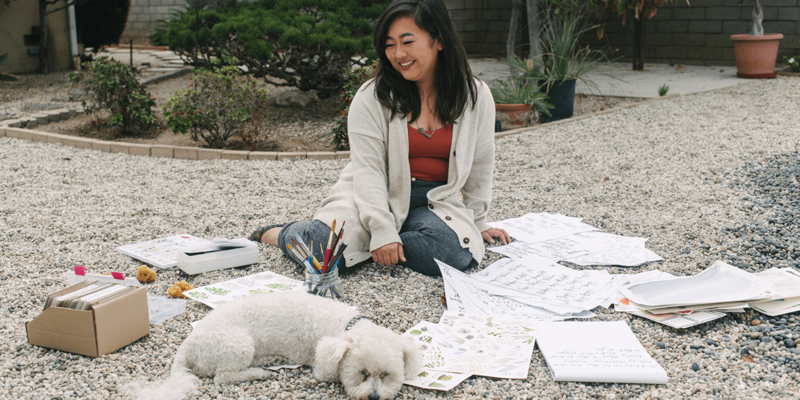 How Christina Stembel landed in a bed of (sustainable) roses--despite encountering a few thorns along the way. 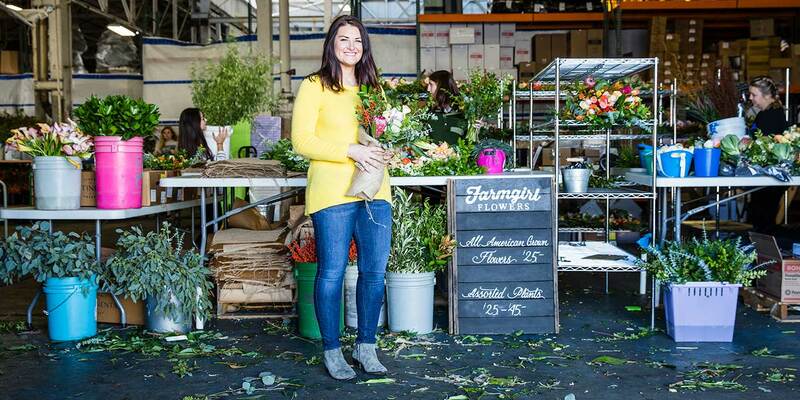 This past Thanksgiving, Farmgirl Flowers’ founder and CEO Christina Stembel didn’t answer phone calls or emails—she was too busy “slinging flowers” alongside her 82 employees as they worked shoulder-to-shoulder to meet the holiday rush. This Christmas, her favorite holiday, she’ll be doing the same. But this fresh-faced farm girl (she grew up in rural Indiana) doesn’t mind putting in 2 a.m. to 2 p.m. shift on her company’s design floor, because this place is her life’s work, and her family. Ask Christina about the possibility of children (she’s happily married) and she just laughs. “I have 82 children,” she says. Farmgirl Flowers’ business model is refreshingly simple: the company sells flowers online, featuring one stylish arrangement per day, delivered charmingly by bicycle if you live in San Francisco; by FedEx if you live anywhere else in the country. The idea for Farmgirl came about when Christina was organizing an event for the school, and the price of flowers sent her reeling. “So I started researching the whole industry,” she says. What struck her as most backward about the business model she found was the high degree of waste. “40 percent to 80 percent of flowers harvested are never even sold!’ she says. Instead, she looked to In ‘n Out Burger for inspiration in the fast food chain’s simple, stripped-down menu and emphasis on quality. She quit her day job in 2010 with $49,000 in savings, and for the first two years, she ran the company out of her dining room and did everything herself—including all the flower slinging. 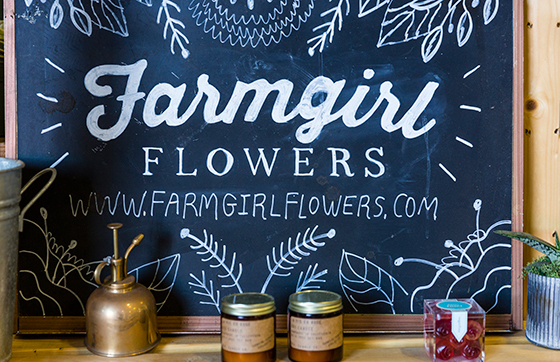 Today Farmgirl has its own warehouse in San Francisco’s Potrero district. 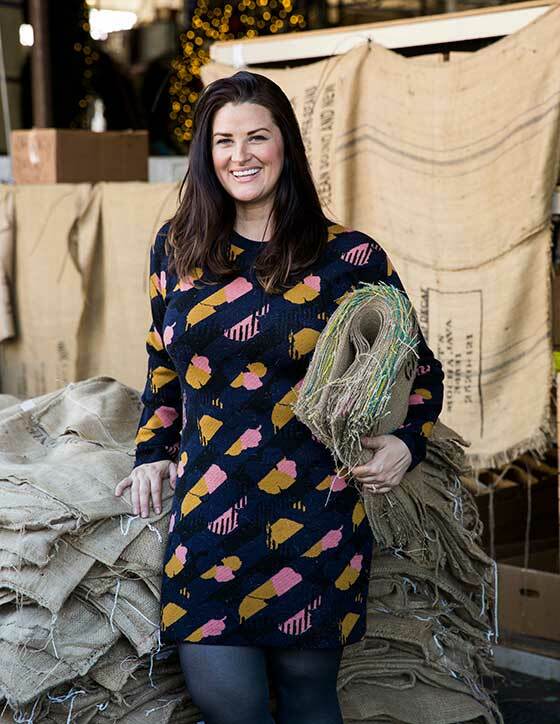 The company rolled out nationwide shipping in 2015, and Christina is no longer tying burlap sacks around arrangements. Instead she’s travelling around the country, trying to convince farmers to give up their eco-unfriendly corn and soybean harvests to grow sustainable flowers for her. But the road from solo entrepreneurship to 14th fastest-growing private company in San Francisco hasn’t been a bed of roses. 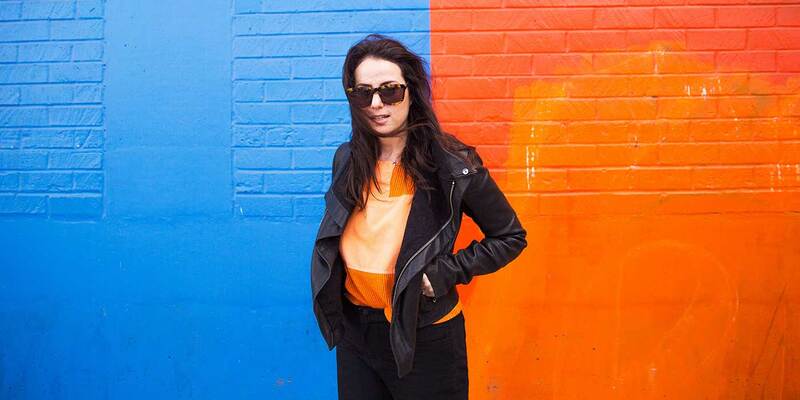 It never occurred to Christina to seek outside capital until a flurry of copycat companies hit the market in 2013 with uncannily similar business models to hers—and venture backing running to the millions. “I got scared because I thought well I’m going to be the Friendster to their Facebook, with my idea, and that’s going to stink!” she says. 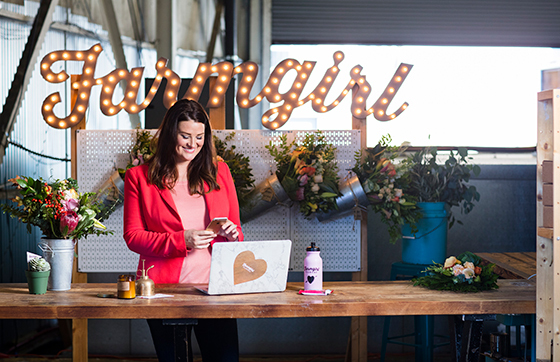 Efforts to raise backing came to naught, however, despite her company’s success and growth, something she attributes to several factors, not least of which would be the “Girl” in Farmgirl. “It’s just purely numbers,” she says, sounding surprisingly over it and not the least bit bitter. “Under four percent of funding goes to female-led companies.” Maybe the reason she feels so sanguine about failing to raise the money is that she believes she really dodged a bullet—remaining self-funded has allowed her to retain total control over how she runs her business. Keep doing things differently, Christina. Your company and the world are better for it.